Later in the year, Google would be launching a new virtual reality headset for Android smartphones, according to reports. It is said that the headset would be sturdier as well as sophisticated than the Google Cardboard, the £10 virtual reality headset which had been shipped around five millions units since its launch in 2014.Different from its flat pack predecessor, the new headset of Google is will be having plastic casing and improved sensors together with lenses according to the Financial Times and Google has refrained from commenting on the reports. Rumours have given further evidence that Google would be taking the growing virtual reality market seriously. Augmented reality firm, Magic Leap which Google has invested greatly, has closed recently, a round of funding which valued it at around $3.7 billion. In January 2016, setting up a virtual reality division, Google CEO Sundar Pichai had informed that beyond early efforts, there would be lot more from them as well as their partners. If the reports tend to be true, the new headsets of Google would be identical to Samsung’s Gear VR, collaboration between Samsung and Oculus which had gone on sale to consumers late last year. Though Google tends to continue focusing on its budget Cardboard headset, there are others in the industry that has developed more high spec-virtual as well as augmented reality technology. The new headset would be a replacement to Cardboard, which Google had launched in 2014, featuring better sensors, lenses together with solid plastic casing. It is said that Google would be releasing its rival headsets together with new Android VR technology, this year. Similar to the Cardboard and Gear VR, the new headset would be using an existing smartphone inserted in the device, for display as well as most of its processing power. Google Cardboard depends mainly on sensors that are built in modern smartphones to sense the position of the head of the user, while Gear VR tends to be more strongly built, featuring extra motion sensors. As the Alphabet unit attempts to bring the technology to a bigger audience, the latest Google headset would be well-suited with a much broader range of Android devices than the Gear VR that would only work with a few of the recent Samsung Galaxy smartphone models. Google hopes to enhance the quality of the mobile VR viewing experience, by implanting new software directly in its Android smartphone operating system instead of depending only on traditional app as with Cardboard. The issue with several present smartphone-based VR viewers is that users tend to feel dizzy or unwell which is due to the virtual images displayed that could lag behind slightly behind the user’s head movement in the real world which is known as latency or unconsciousness. 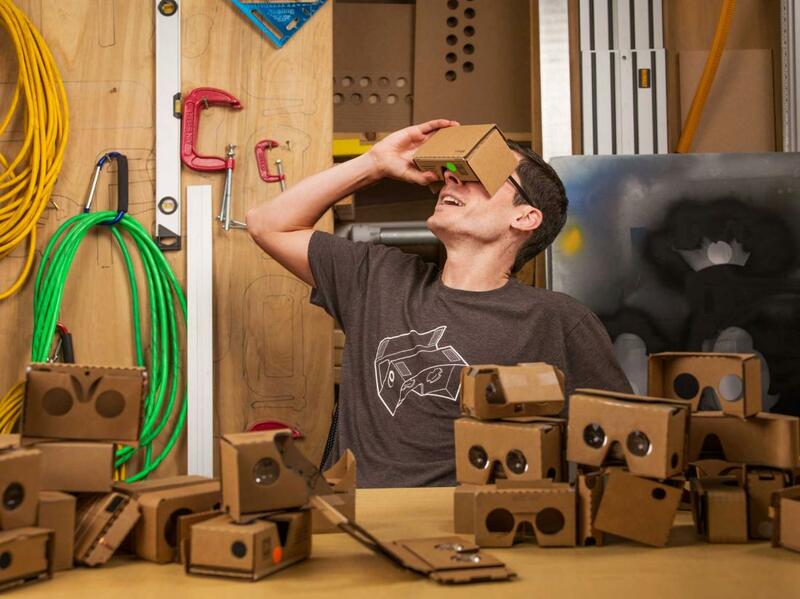 Cardboard has been more successful than expected, with deliveries over 5m units till date, when it had launched the low-cost goggles in 2014. On improving resolutions as well as latency, the combination of the improved Android software as well as the new headset would enable users to devote longer in VR and also enable developers in creating more sophisticated apps.